NEW YORK, USA -- Both in the course of the Ukrainian elections and following the victory of Viktor Yanukovich, Russian commentators have discussed what kind of a Ukraine Russia needs, commentaries that have not only implied that only Ukraine needs to change but also have defined how many analysts elsewhere see the issue. But in an essay posted online yesterday, Olesya Yakhno, a commentator for the Ukrainian portal Glavred, argues that this is the wrong or at least not the only question. And she insists that an equally or even more important issue for Ukrainians and Russians alike is “what kind of Russia does Ukraine need?”. Her answer is that both need Russia to become for Ukraine a country like any other rather than revisionist state which seeks to dominate or even absorb its neighbors, thus threatening not only more conflicts in the future but rendering it almost impossible for Russia itself to make the transition to a modern, free and democratic country. At the same time, she notes, Russian commentators have hurried to specify “what kind of a Ukraine Russia needs,” arguing that Moscow needs a Ukraine which is “predictable” both at home and abroad, “semi-authoritarian” for whom “’stability’ is a euphemism for reform, and which makes Russian the second state language and the Moscow Patriarchate the main church. 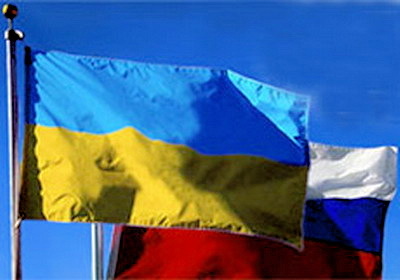 It is clear, the Glavred writer says, that “the format of bilateral Russian-Ukrainian relations depends more on Russia than it does on Ukraine,” something that is not a source for optimism because “even with friendly countries” like Belarus and Kazakhstan, Russia has difficulties maintaining close ties. There is no doubt that relations between Moscow and Kiev will improve now that Yanukovich is president. But “in order that cooperation bear a real and not exclusively declarative character, it is obvious that there will have to developed an integral and internally consistent philosophy of these relations,” a challenge above all for Russia. And what that means, Yakhno says, is that “the real test for Russian-Ukrainian relations did not end with the departure of Yushchenko but only began with the installation of Yanukovich in office” because Moscow can no longer avoid facing the need to develop a real policy toward Kiev rather than hide behind denunciations of the Orange Revolution. As for Prime Minister Vladimir Putin, Yakhno continues, he has talked about three “possible variants of the development of the political system on the post-Soviet space:” Ukrainianization, which Russians understand to mean “political instability and a lack of control,” “harsh authoritarianism” (Turkmenistan), and semi-authoritarian Putinism as in Russia. Putin clearly wants the third to continue in Russia, “even if this directly contradicts modernization,” as it almost certainly does. That is because, Yakhno insists, “modernization is possible only under conditions of ‘Ukrainianization’ or ‘authoritarianism,” the one allowing messy competition and the other marching forward under tight control. The tension between the requirements of modernization and the needs of the members of the current set of powers that be in Moscow to remain in office, the Ukrainian analyst continues, are creating conditions for the rise of “subjectivism in politics,” a term taken from the Khrushchev period. Such an approach, now very much in evidence in Moscow, does not create the kind of Russia that Ukraine needs, Yakhno says. She then gives a list of six qualities that she argues Russia needs to develop if it is to have good relations with its neighbors and to develop and modernize at home. Second, Ukraine needs a Russia which “is not an empire but a contemporary nation state.” Third, it needs a Russia which “at least approximately believes in what it officially proclaims.” Fourth, it needs a Russia “which thinks in the categories of politics and not business camouflaged as politics. Fifth, it needs a Russia which “decides above all its state tasks and not the tasks of big business.” And sixth, it needs a Russia “which can once and for all formulate an exhaustive list of its expectations from Ukraine,” thus allowing Kyiv to respond positively to those it agrees with and negatively to those it does not. OLEYSA YAKNO has taken some time to do some very serious thinking and well respected thinking as the primal issues existing between Ukraine and Russia are very intrinsic and deeply seeded. Not easily understood by many diplomats here in the U.S and even in western Europe. diplomatic and geo political out. It is difficult for anyone who has not studied the history of the Russian empire and Ukraine history to understand. perhaps before the Russian Revolution. Moswt countries are unborn babies compared to Russi and Ukraine. Most people do not know that the country Ukraine at one time was Rus, so to speak, and actually the main focus of all predominant culture which spread through what is now the modern day Russia and as a government,the RUSSIAN FEDERATION. .,..For years under the Soviet Union, it was in many ways the backlbone of strength for RUSSIA! ...Many of the key military operations based in Ukraine, and commerce along the Black Sea and The Crimea and the city of KYIV if one looks back thoroughly goes back close to two thousand years. As a news reporter and one who lived in the Ukraine for over a year I am well aware that Russia needs Ukraine much more than the Ukraine needing Russia. ..Russia is so immense and multi diversified culturally, that in itself causes problems of governing and integrating all entities in a homogenous fashion and function as one fine tuned machine. very talented and educated people have so much to contibute and it is also why it has not been quickly assimilated into the European Union, let alone NATO which does serve a respectable but not totally accepted service. Many in eastern Europe view NATO as a western invention and they are correct but is is comprised of many European countries,but many European members are not doing the proper job to keep NATO a really viable force especialy for eastern Europe. Western Europe is more concerned about itself and east and central Europe always seem to get the bad deal from the E.U. So now 2010,Ukraine and Russia must maintain their ancestral ties and diplomatic connections in a respectanle fashion and still be very open minded to the west.. BUT, both countries must accept their geographic location and their own great heritage. ....Western Europe depends on a lot of resources from Eastern Europe and Russia and Ukraine are the strpngest countries in Europe militarily along with some indepoendent strength from Scandanavia..
Russia and Ukraine should now turn the game around and make it work for them. In reality they have much less problems than western Europe and the E.U. and EURO has not proven to be a great success. Too many countries competing against one another. world and possible some input from countries really concerned--U.S.-CANADA-Great Britain. kind of give Russia and Ukraine a lack of respect and perhaps it is time for both to form their own east European Union. The best for UKRAINE-RUSSIA AND EASTERN EUROPE..GREAT CULTURE AND GREAT PEOPLE.